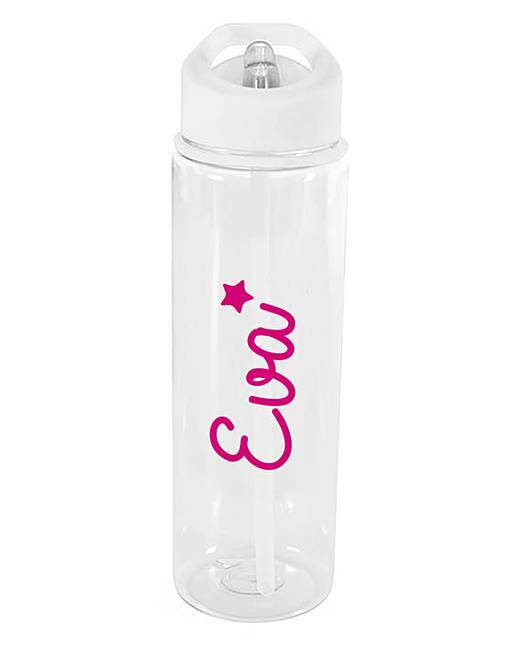 Personalised Water Bottle is rated 4.3 out of 5 by 7. Rated 5 out of 5 by Susie67 from Perfectly practical I bought these for my grand daughters, they love them. Rated 5 out of 5 by Pamie from Water bottle Bought this a few weeks ago for my daughter when she returns back to school. She loves it as it has her name on it. Very good product and I'm very happy with it.